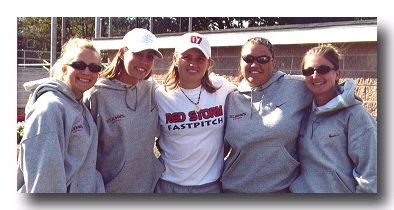 Jo Sherlock, Meghan Allman, Christina Tucker, Allina Sainz, Tami Hill. Photo taken October 5, 2003 at St. Johns University, New York. All were Renegades.